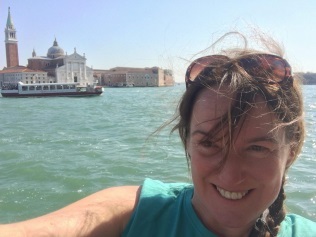 While I'm off on holiday with the family, my good friend, and uber-smart marketer, Kathleen Gage is going to pop on to share some advice about how to create multiple streams of income. I always learn a lot from Kathleen when we talk at NAMS in Atlanta – and she's not just a marketer – she's a business woman. So, listen up and enjoy this guest post. One of the areas I specialize in is the creation and development of information products. If they don't know it when they first come to me, within a short period of time my clients learn the importance of packaging their knowledge into information products. Once developed, the need to distribute becomes a key concern. Who your market is and what their needs are determines how you will distribute your product. Distribution costs must be factored into your overhead costs and what you charge, and the distribution channel (method used to distribute) you choose impacts your marketing decisions. Distribution on the internet is much more cost effective than traditional methods because you can use your own channel and those of joint-venture and affiliate partners. Match the distribution channel you choose to your branding. Stay current with changes in the market so you can change your distribution channel as necessary. Is there a primary or secondary target market (a niche within a niche)? What factors influence their decision to buy? Where do they currently buy, when, and how much? Is there opportunity to turn casual buyers into loyal buyers? Can you build a long-term relationship with your market? Is what you offer lucrative? Pay attention to what your customers are asking for. Avoid developing your books, ebooks, teleseminars, etc., in a vacuum if serving your market and making a profit is important to you. Although you must start somewhere, your offerings and development should be ongoing processes in your business. This does not necessarily mean you need to be the person developing the products, but don’t make the mistake of developing one product and never thinking about product development again. If you subscribe to this way of thinking you will either quickly be out of business or you will constantly struggle to generate revenues. However, going to great lengths to develop a product without knowing whether or not it will sell can also cripple a business. Begin by introducing a very low-risk item such as an article, e-report, audio, or short ebook to test the waters. You can use a low-risk product as a springboard for others. And you can repurpose virtually anything you create. My first product from 1995 was a cassette tape called Living Life with Serenity. What a laborious process it was to get that product to market! Creating information products in the nineties was very different, and much more difficult than it is today. In today’s online arena, just about anyone can create a simple product such as an MP3 with a computer, a microphone, and editing software. Actually, you don’t even need a microphone because a telephone works just fine with many software programs. With print-on-demand technology you can send a master file to any one of hundreds of companies that create the product only as orders are received. And there’s always the option of digitally downloaded products with extremely low production costs and very high profit margins. Regardless of what method you decide on, the main decision is to get started in packaging your information as soon as possible. The sooner you do, the sooner your business will generate multiple streams of income. 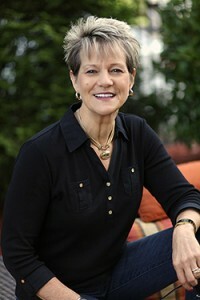 For a very limited time when you order the book through Amazon you receive Kathleen’s full Six Figure List Building Program and Sell Thousands from Any Platform at no cost to you. Go to this bonus page for full details. 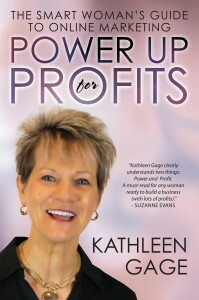 Be sure to grab a copy of Kathleen's book and get the awesome bonuses while you can. That's the best way to ensure that I can get great people to share their wisdom over here. Big hugs and I'll be back soon. 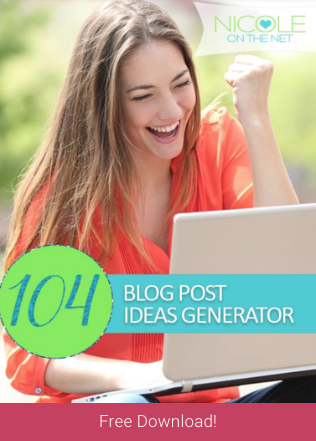 I enjoy the post by Kathleen Gage, I feel that is a step by step approach in researching and doing your homework in any product creation. I do agree that you start small that’s what I’m doing not to start out with high price ticket items. Also reaching the right customer with your product so Nicole and Kathleen thanks again. I can agree more with Kathleen Gage…. multiple streams of income is the way to go this days with a lot uncertainty surrounding Google adsense (the reduced earnings ). One need to create his own products and have a means to upsell. Kathleen’s post was very informative and I particularly agree with her in that doing your Research as thoroughly as possible is essential for success. When we have, what we think is, a great idea for developing a new Product then, it is really very easy to get carried away with the fact that if we think it’s great – then why wouldn’t everyone else??? 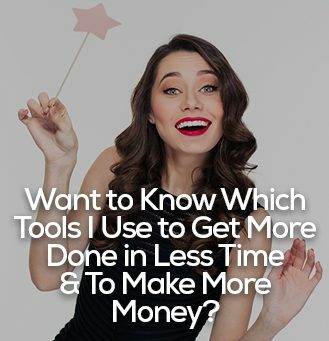 Added to this is that often doing your Research can seem very time consuming and boring, and generally feeling that it would be better to just go ahead, ‘hammer and tongs’ to get our Product off the ground as quickly as possible and not waste time! So consider, when we do our Research thoroughly and know and recognise where our Market is – Who our Market is – How we might be able to expand on that existing Market, then all this information will just make our lives so much easier! Hence, we are happy to get our Product developed and know that our costing is not something plucked from the misty vapours our heads were stuck in – We can Plan our Marketing Strategy and Hey Presto – with Fingers Crossed – Success!!! I like how you talked about starting with the low risk ideas and then working your way up. It seems like this would be a great way to test the market and make sure all the time that you’ll spend creating the big ticket items will actually pay off. Thanks for the great post Kathleen and Nicole! Very true about constantly creating new products. I think making a small profit on a lot of different things is the way we are heading. Even if the big ticket ideas don’t pan out, at least we’ll have enough to keep going. And they can be tested for little money.